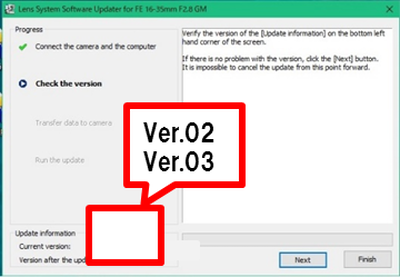 Note: For Windows 8.1 and Windows 10 users:Under the initial settings of Internet Explorer, the update file will be saved in the [Downloads] folder.Click the [Desktop] tile from the Start screen and find the download file in the [Downloads] folder by using Explorer. 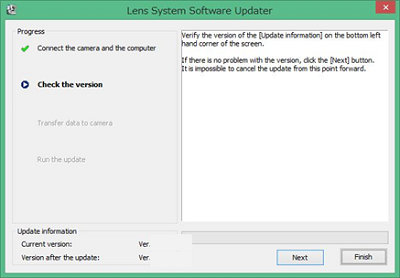 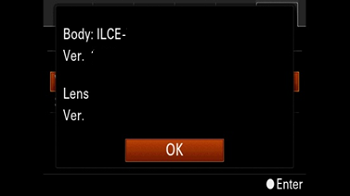 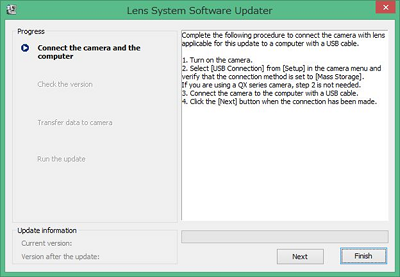 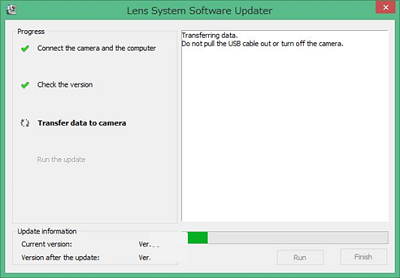 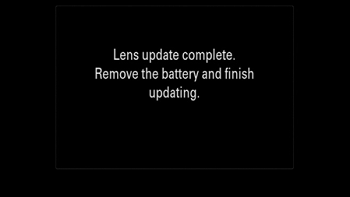 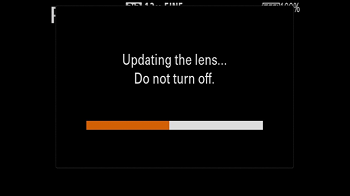 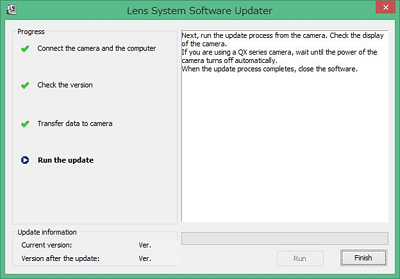 Note: The lens system software updater window appears. 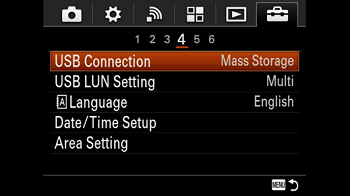 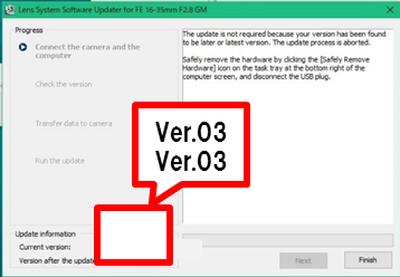 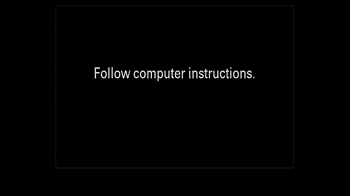 Note: Do not turn off the camera nor disconnect the USB cable while updating.